Video games and books seldom have much impact on one another. Games based on movies based on books are fairly common, but games made directly from books are all but nonexistent. This is too bad, given that they're the two most interactive medias out there. 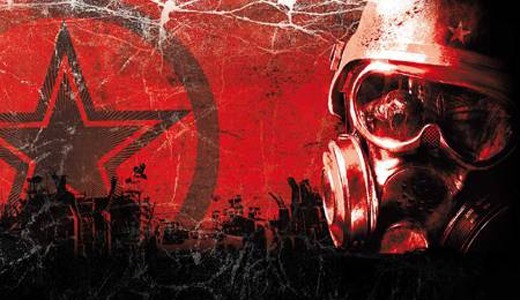 2010's Metro 2033 (a pretty-good FPS) was one of the first games to be based directly on a novel. And it wasn't the Clancyesque American love-fest like one might expect. It was a Russian novel available online for free, and you can still read it if you know Russian or can make sense of anything that comes out of Google Translate. The Metro 2033 novel was the debut work of Russian author Dimitry Glukhovsky, and was originally released online for free in 2002. It's a dark tale of the problems faced by Russian society trapped in the Moscow Metro system following a nuclear holocaust. It was a major sensation in its native land, eventually gathering enough of a following to finance a print release in 2005. In between, Glukhovsky allowed the novel to become interactive by taking feedback from fans and changing the final version accordingly, which was fairly radical at the time. He has also released a sequel, Metro 2034 (also soon to be a video game) and a third novel called It's Getting Darker, which he published one chapter at a time on his LiveJournal. Shortly after the print release of Metro 2033, Ukraine-based 4A Games bought the rights to the novel and got to work on a game. THQ published it worldwide in 2010 for PC and XBox 360. It's pretty good. The gameplay leaves something to be desired, but the story and settings are solid, as the terrifying and very human sequence in the above video indicates. What other books that haven't been made into movies could make good games? The Redwall series? William Gibson's seminal cyberpunk classic Neuromancer? It was already a game in 1988, but a primitive one. How about a plot-driven God game where the player is Mr. Wednesday from American Gods? Wow, this does not look very fun. Any of these would work. Metro 2033 might not be the game that opens the door for them, but hopefully as video games get grander in scope and more desperate for source material, the two interactive medias (reading = interaction) will get over their rejection of one another and start working together. It can't work out any worse than movies based on video games. The game made the book very famous. The game too, is really awesome.